Computers have evolved into something magnificent and useful for everyone. 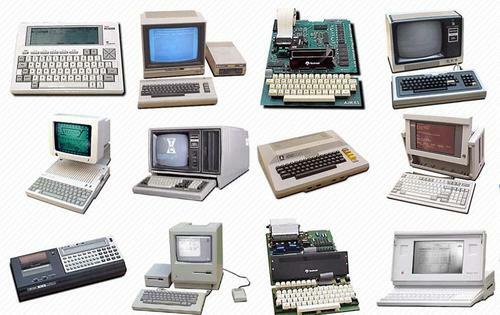 We might be knowledgeable of popular innovators Bill Gates and Steve Jobs or known brands like HP and IBM, but have we looked back and tracked where computers really started? Thanks to Andy Crofford of TestKing.com, let’s walk down the memory lane to reconstruct the history of computers and everything connected to it. 1940s First Generation. This is where everything started – from HP’s audio oscillator, Bell Telephone Laboratories’ complex number calculator to the Atanasoff-Berry Computer and the first architecture of a stored-program computer. Who would’ve thought that it would lead to the mainstream computers we know today after several decades? 1950s Second Generation, Transistors. It’s the era when many firsts took place. This includes the first commercially produced computer to use all-diode logic, first reliable OS running 35 hours a week at 90-percent utility, first computer to solve clerical problems, first programmable computer built with transistors, and later on the first electronic and transistorized computers from NEC and IBM. 1960s Third Generation, Microprocessor. The precursor to the minicomputer called DEC PDP-1 was a good start for this generation. It was then followed by IBM 1401, which replaced the vacuum tube with smaller, more reliable transistors and used a magnetic core memory. By 1965, the first commercially successful minicomputer was released. A year after that, the first large-scale array computer came out and several more years later, the Apollo Guidance Computer made its debut orbiting the Earth on Apollo 7. 1970s Fourth Generation, Microcomputer. Scientific American advertised the first personal computer at $750 in 1971. Two years after, the first display of alphanumeric text on an ordinary TV set came to life, as well as the Micral known to be the earliest commercial, non-kit personal computer based on micro-processor. It was then followed by Xerox Alto that had a built-in mouse for input and the Tandem-16 that was the first fault-tolerant computer for online transaction processing. By 1976, Steve Wozniak designed the Apple I, later selling it with Steve Jobs. A year after that, Apple II was also released and became an instant success. 1980s Rise of Microcomputers. IBM introduced its PC and Adam Osborne released the first portable computer, the Osborne I, which weighed 24 pounds. Apple Lisa being the first with GUI was launched in 1983, followed by its clone Compaq PC. A year later, Apple Macintosh became the first successful mouse-driven computer with GUI, which went head on with IBM PC-AT that proved to be several times faster than original PC. In 1987, IBM introduced its PS/2 machines, which made the 3.5-inch floppy disk drive and video graphics array standard for IBM computers. 1990s Personal Computers. During this generation, Intel released the P5-based Pentium processor with 60 and 66 MHz versions. After just a year, a 100 MHz version followed. By 1995, Sony released the first Playstation, which a lot of kids and kids-at-heart really loved. Toshiba’s Libretto was then introduced and was remarkable for it being the smallest PC compatible computer. Towards the end of this era, iMac was announced by Apple followed by PowerMac, which is powered by Motorola’s G4 chip. To add, AMD also released an Athlon clocked at 750 MHz. 2000s Mobile Computing. This era kicked off with new versions of operating systems namely Mac OS X, Windows XP, and Linux 2.4.0. By 2002, RIM launches the first BlackBerry smartphone. Year after year, new releases such as Apple’s PowerPC G5, AMD’s Athlon 64, NVIDIA’s GeForce 6800 came one after another. By 2005 and beyond, Microsoft released XBOX 360 and followed by Macbook Pro, Playstation 3, Nintendo Wii. In 2007, iPhone and Asus Eee PC became revolutionary in their respective categories. Google joined the competition by releasing HTC Dream and Google Android, which ran the Android OS. Last year, iPad became the ultimate tablet computer that bridged the gap between smartphones and laptops. And in 2011, tablets from different manufacturers battle to ex-out Apple’s iPad. This article is my seventh contribution to Manila Bulletin -- one of Philippines' leading broadsheets -- published on March 06, 2011 (Monday) in the TechNews Section. You can view the PDF version here. I suddenly remembered those big floppy disks. And now, they're gone. Haha.